A lovely mix of opaque and pearly white, and silvery clear, plus frosty matte blue; the beads in this lanyard necklace are the very essence of winter. 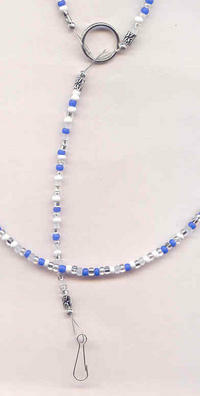 The necklace measures a comfortable 32", and the extender is about 7". 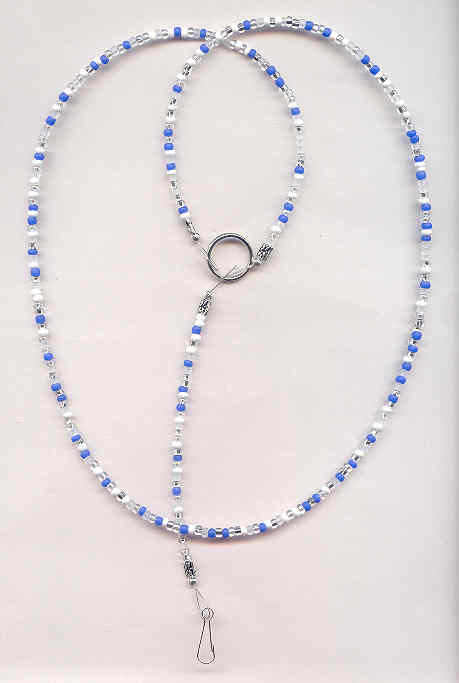 The vintage pale blue satin glass pendant measures about 1-5/16"; wide by 1" long (not counting the loops).